If you google “healthy nutrition” you will come up with over 200 million results <—That’s A LOT! And I’m guessing if you were to read through 90% of the results, you would read all about quality protein sources, no fat / low fat / high fat diets, reducing sugar, how carbs are satan and how eating more protein can help you beat a bear in a wrestling match (Ok, maybe not the last one, but close!). You just need to eat more protein! While many of those points are valid, and are important to optimizing your nutritional regimen to help you get and stay healthy, lose fat and gain muscle, even if you know all about these facts they don’t mean anything unless you act on them! I know that statement is a “Duh” statement, but when I speak to most of my athletes who are struggling with nutrition, it is not that they don’t know what they need to do (most of the time). They know that if they load up on processed food, high amounts of sugar and low quality sources of protein they will likely feel like crap, look like crap and perform like crap. They know that quality protein sources, healthy fats, veggies/fruits and low/non processed sources of carbs should be the backbone of their nutrition. So then why, just why can’t they seem to get their nutrition right?? Because they have not yet mastered what I refer to as the 4 Ps of successful nutrition. Let’s discuss what the 4 Ps are and then go over how to implement them as easily as possible. Plan, it is pretty straight forward, right? You must plan out your weekly meals (or at least a couple days worth). Now I know I stated that the knowledge of what constitutes a healthy meal is common knowledge for many of us, but I do want to touch on it quickly. In the simplest form, a healthy meal will be made up from quality protein sources, veggies/fruits, healthy fats and quality carbohydrates sources. When discussing protein sources we are thinking grassfed meats (beef, chicken, pork, wild game meat, etc.) eggs, fish, beans, nuts, etc. If you don’t have the ability to purchase grassfed / wild meat opt for the low fat versions of conventional meat as many of the antibiotics, hormones, etc. will be stored within the fat of the meat. Veggies and fruits include spinach, broccoli, green beans, cucumbers, celery, carrots, tomatoes, avocado, mushrooms, onions, peppers, apples, bananas, berries, kiwi, oranges, mango, kumquat, etc. Healthy fats include nuts, avocados, olive oil, coconut oil, seeds, etc. 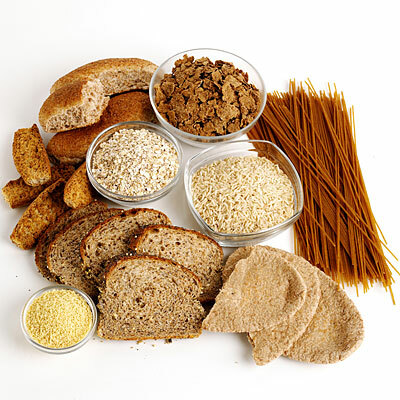 And lastly, quality carbohydrates (other than veggies and fruits) include rice, potatoes, sprouted grain breads, sprouted grain pastas, oatmeal, buckwheat, etc. OK, with that out of the way (even though that is just the tip of an enormous iceberg), let’s talk more about planning. Your goal needs to be to plan out at a minimum 2-3 days worth of meals including breakfast, lunch and dinner. Write them down, make a grocery list and go shopping. If you can only go shopping once per week make sure to plan for the week. If you know you can get to the store 2-3 times per week then you will only need to plan for a few days at a time. Now that you know what your meals are going to be for the week (or the next few days), and you have all of the ingredients for them, it is time to prepare what needs to be prepared ahead of time to save you time during the week. For me this takes place on Sunday. If you have another day (or couple days) of the week that works better for you, make that your “meal prep” day. Set aside 2-3 hours and get to work! I know that right now, if you don’t already do this, 2-3 hours may seem like FOR-EV-ER! But believe me when I tell you, putting in these 2-3 hours will save you 5-6 hours during the week. And even worse, if you don’t prepare you are likely going to say “Na, not tonight” when it comes time to make your meals…which eventually leads to grabbing something quick and nasty…so as Billy Madison says… “JUST DO IT”! Ok, enough with the “encouragement” to get preppin’. Prepare your meals with your family (wife, husband, kids, siblings, family guinea pig, etc. )…not only will the company likely make the time go quicker, but the extra hands can actually speed up the process. Put on a game or other TV show that doesn’t require you to watch intently the whole time. Put on a podcast, or if you are not a nerd, some music. -One big meal that you can pick off of throughout the week. Think of stuff like chili, stir-fry, casseroles, stews, etc. Stuff that is easy to throw together and pick from.A metric s&%t ton of meat…Ok, maybe not that much but I usually prepare 5-6 pounds of chicken breast to eat throughout the week, mainly for dinners. -Cook up another metric s&%t ton of veggies…again roughly 3-4 pounds here! I throw them in a big pan, put some seasoning on them, and let them cook down to a tender consistency. I then throw them in salads and have them as a side or as a quick snack…and I get them frozen (usually oriental stir-fry veggies) so I don’t have to chopped, dice and slice my way through 3-4 pounds! -Bake some potatoes, cook some rice, etc. Having some extra quality carbs to add to your meals is key…it keeps you from the quick, not so great options! -Make your snacks! For most of us snacks, or mini meals, are part of our daily existence…and I am no exception. I typically have either a cottage cheese, greek yogurt or pureed pumpkin snack every night. These snacks include chopped fruit, protein powder, cinnamon, nutmeg, flaxseed and sometimes coconut shavings mixed in. So I make them ahead of time so at night, after a long day of coaching, all I have to do is reach in the fridge and grab one. This keeps me from reaching in the freezer for the tub of ice-cream! So there are the main things to prepare ahead of time. Once you have these main ingredients prepped it is easy to throw a salad together with chopped chicken (or chicken on the side), make homemade chicken salad, grab a bowl of chili/stew/stir-fry and grab a quick snack when you need it. Basically it makes all of the meals you planned ahead of time easier to construct throughout the week (or you may have them completely put together and ready to go). One last tip…prepare your breakfast the night before! This doesn’t mean you have to cook your omelet or oatmeal, or blend up your shake the night before, but it means get everything ready to go so in the morning the process is that much quicker. When I am having an omelet I chop my veggies, put them on a plate and cover them for the morning. Then all I have to do is throw them in the pan and cook them up, beat a few eggs and throw them in the pan and in a few minutes I have an omelet. The same goes for my oatmeal. All of my ingredients are on the counter and ready to go for the morning. The fruit I am putting in is sliced and in the fridge and the protein powder, nuts, cinnamon and any other dry ingredients are mixed together in a container ready to be dumped in. Then all I have to do is boil some water, throw in some oats and then add my fruit and dry ingredients and mix them together…again maybe 10 minutes total. Lastly if I am having a shake I will put my fruit in my Ninja Blender cup and put it in the freezer. I throw all of my dry ingredients in a container (just like for the oatmeal) and in the morning all I have to do is snag my cup from the freezer, add some spinach, the dry ingredients and some milk and it is ready to blend. If I were not to prepare these things the night before I would be scrambling around the kitchen for all of the ingredients and spending way more time in the morning preparing my meal…this would eventually lead to opting for an easier option, especially for those of us who like to hit the snooze button a few times! The next P is portion. Prepare and portion may be blended together a little if you are only cooking one meal. You would portion the ingredients for one meal before you prepared it. But, if you are like me, and take the tips above and implement a meal prepping day for the week, you will have lots of food ready to go. The next step would be to portion it out. The easiest way to do this is to again turn to Precision Nutrition for their food portioning guidelines. The reason I like the way PN approaches this is they use an individuals hand for a guide. Because your hand is typically proportionate to your body (smaller dude, smaller hands…bigger dude, bigger hands…and the same goes for the ladies), you will be eating appropriate portions. Check out the visuals for the portion guidelines. Once you know your portions, divide up your food and then complete the last P of the 4 Ps. Now that you have everything planned and prepared, and you know what portions you are going to consume with each meal, it is time to pack up the portions. This is where having health conscious containers is key. I use glass pyrex to pack up my food. If you were to open up my fridge on Sunday night you would see four 3 cup containers of chicken breast, four 3 cup containers with salad and four 4 cup containers with whatever meal we prepared for the week (chili, stew, etc.). With that you would also see four 2 cup containers with my snacks for night and one 8 cup container full of cooked veggies. With everything all portioned out and packaged up, all I have to do is grab and go in the morning (after eating breakfast and sipping on some coffee) and I am ready for the day, at least nutritionally! Again this allows me to stick with healthy options (which are also tasty! ), and stick to consuming the appropriate amounts. Hopefully you can see how much easier nutritional success can be when you implement the 4 Ps. Yes, it takes some time during a day or two of the week, but when you don’t feel like crap from eating quick processed foods, you start to notice positive changes in your body composition (less fat more muscle) and you perform better with your daily activities (school, work, sports, hog wrestling, etc.) you will not think twice about dedicating the time. The 4 Ps, once implemented for a few weeks, becomes part of your weekly routine. And again, if you can do it with your family or while watching/listening to something you enjoy, the time goes by rather quickly. So now it is your time to draw out a week (or a few days) of meals, go shopping, select a day or two to prepare the food, portion and pack the food, and enjoy less stress throughout the week knowing that you are consuming quality meals that will help you further your progress and reach your goals! These strategies along with many more specific strategies are exactly what I encourage my athletes to do, both in person and online. If you want more specific help with your nutritional plan of attack reach out to me on Facebook, and make sure you follow me on Instagram (@kylearsenault1) for more tips about nutrition and training!